Last month, the U.S. Women’s National Team (USWNT) — who are the number one women’s soccer team in the world, BTW — picked inspirational women to honor on the backs of their jerseys. Defender Crystal Dunn picked Serena Williams, forward Meghan Rapinoe picked writer Audre Lorde, among others. Our personal favorite pick? Defender Becky Sauerbrunn, who chose none other than Ruth Bader Ginsburg. This heartwarming story gets even better: Sauerbrunn received a letter from the Supreme Court Judge herself! On Friday, April 12, Sauerbrunn tweeted a picture of a letter she received from RBG. 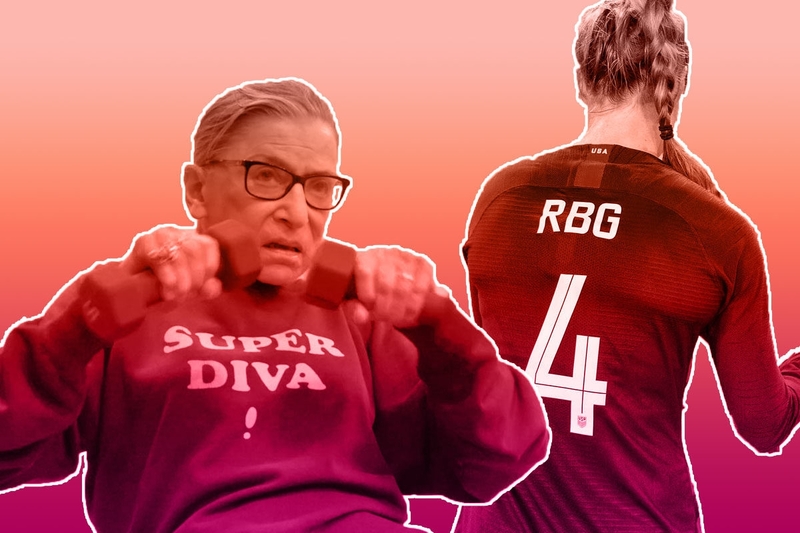 That’s right: RBG is going to wear her custom RBG soccer jersey while she works out. After a health scare at the end of last year, we are so happy to hear that Ginsburg is back to her regular workouts. Of course, RBG isn’t the only famous Jewish mom fan of the team: Last week, Natalie Portman attended a game in LA — alongside actresses Jennifer Garner, Uzo Aduba, Eva Longoria, and Jessica Chastain. They were there in partnership with Time’s Up, supporting the USWNT’s fight for equal pay, which is something we figure RBG — a longtime champion of equal pay for equal work — would undoubtedly support. All this is to say: USWNT, please make the RBG jersey available for sale! We would purchase it in a heartbeat and wear during our workouts, too.